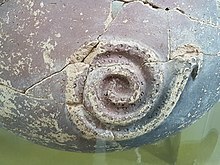 In some cultures, snakes were fertility symbols. For example, the Hopi people of North America performed an annual snake dance to celebrate the union of Snake Youth (a Sky spirit) and Snake Girl (an Underworld spirit) and to renew the fertility of Nature. During the dance, live snakes were handled and at the end of the dance the snakes were released into the fields to guarantee good crops. "The snake dance is a prayer to the spirits of the clouds, the thunder and the lightning, that the rain may fall on the growing crops." In other cultures,[which?] 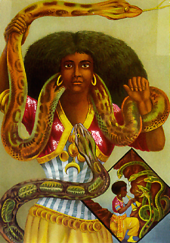 snakes symbolized the umbilical cord, joining all humans to Mother Earth. The Great Goddess often had snakes as her familiars—sometimes twining around her sacred staff, as in ancient Crete—and they were worshiped as guardians of her mysteries of birth and regeneration. Serpents are connected with poison and medicine. The snake's venom is associated with the chemicals of plants and fungi that have the power to either heal, poison or provide expanded consciousness (and even the elixir of life and immortality) through divine intoxication. Because of its herbal knowledge and entheogenic association the snake was often considered one of the wisest animals, being (close to the) divine. Its divine aspect combined with its habitat in the earth between the roots of plants made it an animal with chthonic properties connected to the afterlife and immortality. 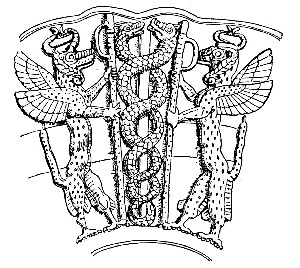 The deified Greek physician Asclepius, as god of medicine and healing, carried a staff with one serpent wrapped around it, which has become the symbol of modern medicine. 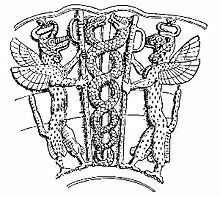 Moses also had a replica of a serpent on a pole, the Nehushtan, mentioned in Numbers 21:8. In America some of the Native American tribes[which?] give reverence to the rattlesnake as grandfather and king of snakes who is able to give fair winds or cause tempest. Among the Hopi of Arizona the serpent figures largely in one of the dances. 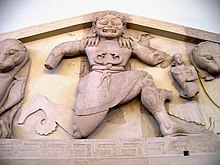 The rattlesnake was worshiped in the Natchez temple of the sun and the Aztec deity Quetzalcoatl was a feathered serpent-god. In many Meso-American cultures, the serpent was regarded as a portal between two worlds. 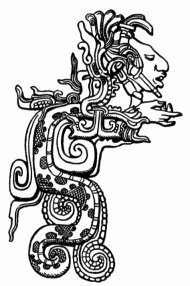 The tribes of Peru are said to have adored great snakes in the pre-Inca days and in Chile the Mapuche made a serpent figure in their deluge beliefs. ^ "Apollon, Python". Apollon.uio.no. Archived from the original on 2012-01-19. Retrieved 2012-12-07. ^ Robbins, Lawrence H. "AlecC. Campbell, George A. Brook, Michael L. Murphy (June 2007)." World's Oldest Ritual Site? The" Python Cave" at Tsodilo Hills World Heritage Site, Botswana". NYAME AKUMA." the Bulletin of the Society of Africanist Archaeologists (67). Retrieved 1 (2010). ^ The Spiritual Technology of Ancient Egypt p223. Books.google.com. 2007-10-03. ISBN 9781594777769. Retrieved 2012-12-07. ^ "Savior, Satan, and Serpent: The Duality of a Symbol in the Scriptures". Mimobile.byu.edu. Archived from the original on 2013-01-29. Retrieved 2012-12-07. ^ Hilda Roderick, Ellis Davidson (1988). Myths and Symbols in Pagan Europe: Early Scandinavian and Celtic Religions. U.K.: Manchester University Press. ISBN 9780719025792. ^ "Myths Encyclopedia Serpents and Snakes". Mythencyclopedia.com. Retrieved 2012-12-07. ^ Spooner, Henry G (1984-01-01). The American journal of urology and sexology p 72. Retrieved 2012-12-07. ^ Virgil. Aeneid. p. 2.471. ^ Pliny Natural History 9.5. ^ a b c d e f g h i j Black, Jeremy; Green, Anthony (1992). Gods, Demons and Symbols of Ancient Mesopotamia: An Illustrated Dictionary. Austin, Texas: University of Texas Press. pp. 166–168. ISBN 0714117056. ^ Gordon Loud, Megiddo II: Plates plate 240: 1, 4, from Stratum X (dated by Loud 1650–1550 BCE) and Statum VIIB (dated 1250–1150 BCE), noted by Karen Randolph Joines, "The Bronze Serpent in the Israelite Cult" Journal of Biblical Literature 87.3 (September 1968:245–256) p. 245 note 2. ^ R.A.S. Macalister, Gezer II, p. 399, fig. 488, noted by Joiner 1968:245 note 3, from the high place area, dated Late Bronze Age. ^ Yigael Yadin et al. Hazor III-IV: Plates, pl. 339, 5, 6, dated Late Bronze Age II (Yadiin to Joiner, in Joiner 1968:245 note 4). ^ Callaway and Toombs to Joiner (Joiner 1968:246 note 5). ^ Maurice Vieyra, Hittite Art 2300 - 750 B.C. (Alec Tiranti Ltd., London 1955) fig. 114. ^ Leonard W. King, A History of Babylon, p. 72. ^ Pritchard ANET, 331, noted in Joines 1968:246 and note 8. ^ E.A. Speiser, Excavations at Tepe Gawra: I. Levels I-VIII, p. 114ff., noted in Joines 1968:246 and note 9. ^ Taheri, Sadreddin (2015). "Inversion of a Symbol's concept". Tehran: Honarhay-e Ziba Journal, Vol. 20, No. 3. ^ Gornall, Jonathan (31 July 2016). "Brushing off sands of time at the archaeological site of Saruq al-Hadid". The National. Retrieved 7 August 2018. ^ Segal, Charles M. (1998). Aglaia: the poetry of Alcman, Sappho, Pindar, Bacchylides, and Corinna. Rowman & Littlefield. p. 91; 338. ISBN 978-084768617-9. ^ "Lucian of Samosata : Alexander the False Prophet". Tertullian.org. 2001-08-31. Retrieved 2012-12-07. ^ "HELIUS (Helios) - Greek Titan God of the Sun (Roman Sol)". www.theoi.com. Retrieved 15 March 2018. ^ Chandler, A History of Cambodia, p. 13. ^ Coedès, George (1971) . Walter F. Vella, ed. The Indianized states of Southeast Asia. translated by Susan Brown Cowing. Honolulu: Research Publications and Translations Program of the Institute of Advanced Projects, East-West Center, University of Hawaii. p. 48. ISBN 0-7081-0140-2. 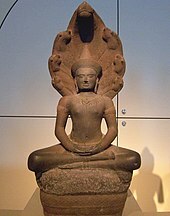 ^ Tossa, Wajuppa and Phra 'Ariyānuwat. Tossa, Wajuppa and Phra 'Ariyānuwat. Cranbury, NJ: Bucknell University Press London. ISBN 0-8387-5306-X. ^ "Great Serpent and the Great Flood". Indians.org. Retrieved 2012-12-07. ^ "Narcotic". 1 March 1934. Retrieved 15 March 2018 – via www.imdb.com. ^ "Narcotics: Pit of Despair (Part I) : Marshall (Mel) : Free Download & Streaming : Internet Archive". Archive.org. Retrieved 2012-12-07. ^ "Themis: A Study of the Social Origins of Greek Religion, Page 424". Lib.uchicago.edu. Retrieved 2012-12-07. ^ "EOS". Lib.uchicago.edu. Retrieved 2012-12-07.